Agile Gibbon (Hylobates agilis) [also known as Black-handed Gibbon] is a small species of gibbon found in in Sumatra and in isolated pockets in northern Peninsula Malaysia and across the border into Thailand. One of the diagnostic features of the vocalisations of this species is a series of low-high bi-phasic notes (the low notes are made while exhaling, the high notes while inhaling) which is given by both males and females, individually and as duets. These particular sounds are often heard immediately after the great call of the female. MX16 A pair singing in Ulu Muda, Malaysia. This cut includes several examples of the female ‘great call’ as well as low-high bi-phasic duets. MX12 Another series of typical song – with both male and female duets as well as three examples of the female great call. Recorded in Ulu Muda, Malaysia. 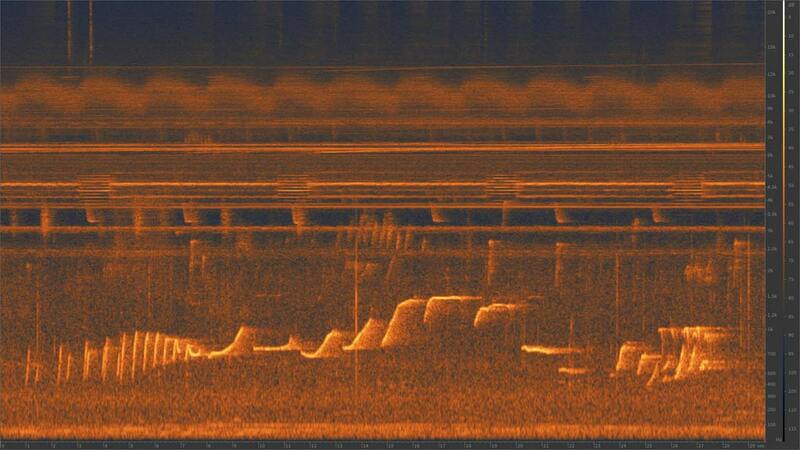 Spectrogram showing the Agile Gibbon female great call followed by a bi-phasic down-up series of notes, one of the distinctive call patterns of this species. 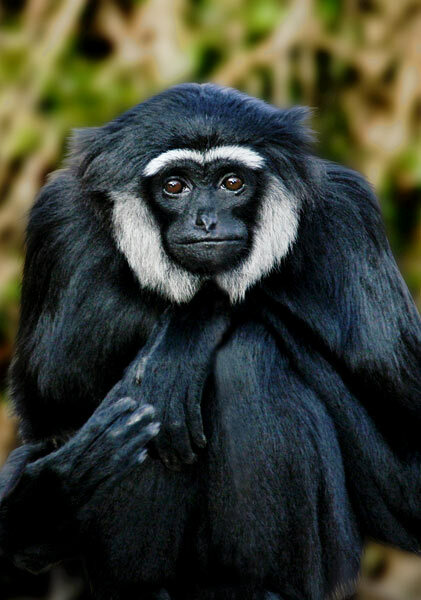 As a result of widespread deforestation throughout much of its range, Agile Gibbon populations are decreasing and are now considered endangered. 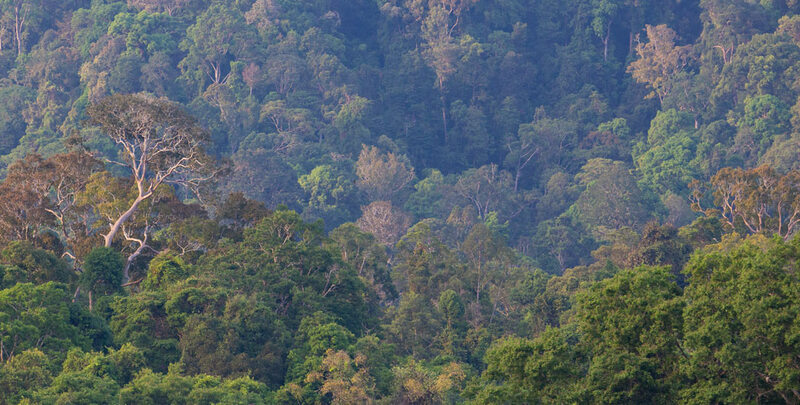 The photograph below is from the Ulu Muda Forest Reserve in northern Peninsula Malaysia, where a significant population of Agile Gibbons still survive.